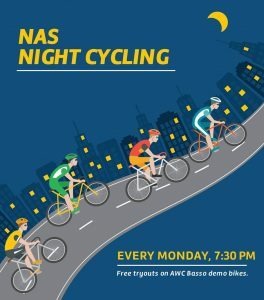 Airwerks Cycles invites you to join us on our rides every week. Each ride is great for training, discovering new roads and meeting other riders. 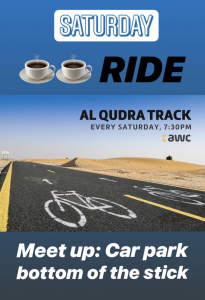 Our rides usually start at Nad Al Sheba cycling track and Al Qudra cycling path. Before joining our group rides please make sure that you have your helmet, safety lights and your water bottles with you, to ensure the safety of yourself and your fellow riders. 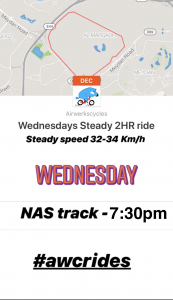 It’s FREE to join and you can join our Strava club as well to find out more about new rides, routes and get exclusive offers and content.